Previous Page McLeod Building: Where the Bank of Italy building is now. 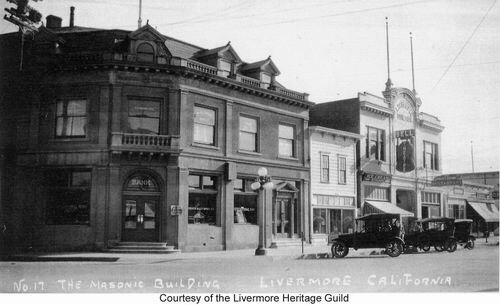 Masonic Hall: SW corner of 1st & Livermore. 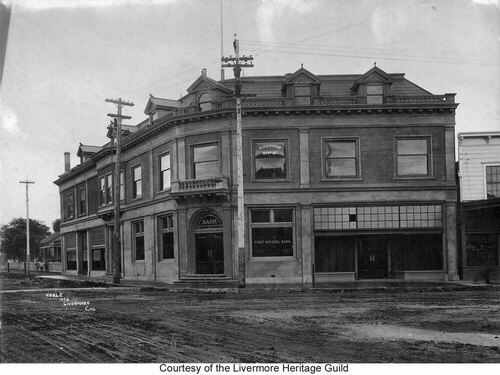 Schenone Building: South side of 1st near Livermore. The Masonic Hall was built in 1909. 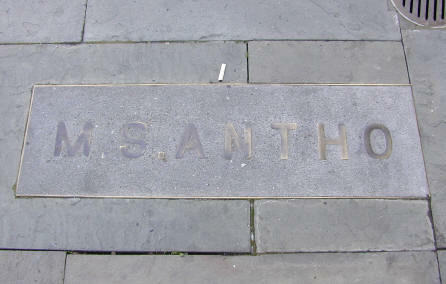 The ground floor has been used by various businesses including banks and currently a comic book store. The front section of the 2nd floor was also used by businesses. The Hall itself is in the southern portion of the 2nd floor with the front of the hall at Livermore Ave. The entrance to the hall is also on Livermore Ave. The third floor contains a kitchen and banquet hall. Taken near the same time as above. The "Billiards" sign as well as the sign by the hall entrance are not present. The bank and dentist are present. The streets are obviously not paved. 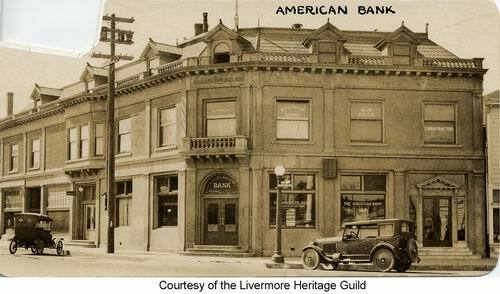 This photo was taken by Frank Hogle, who had a photo studio in Livermore from 1908 to 1913. 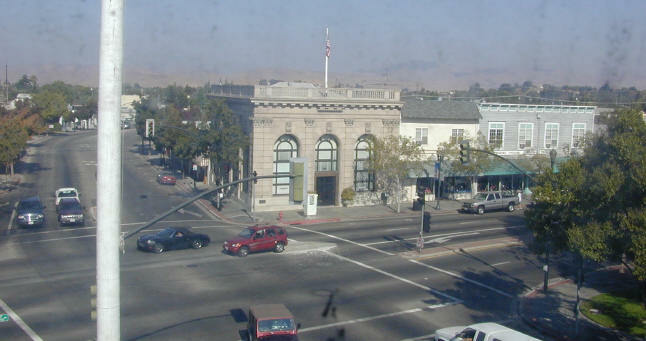 The First National Bank in the center. "Foreign & Domestic Exchange" "Save Deposit Boxes"
The sign on the left says "Billiards". The sign by the hall entrance can't be read. Upper floor has "Dr. G.A. Therkof - Dentist"
The streets are not paved yet. Masonic Building and Schenone Building. Around 1920, when the Schenone building opened. (see close-up on Schenone page. The corner door is now replaced by a window, with the door moved to the right. 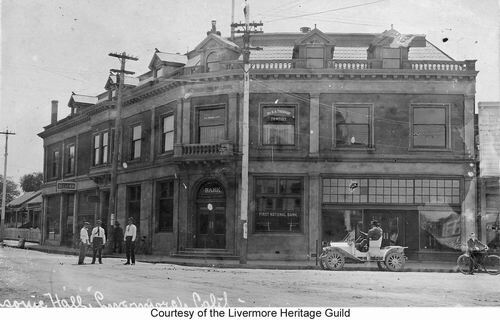 The two story building between the two was replaced long ago by the one story building shown (which appears in later historical pictures also).